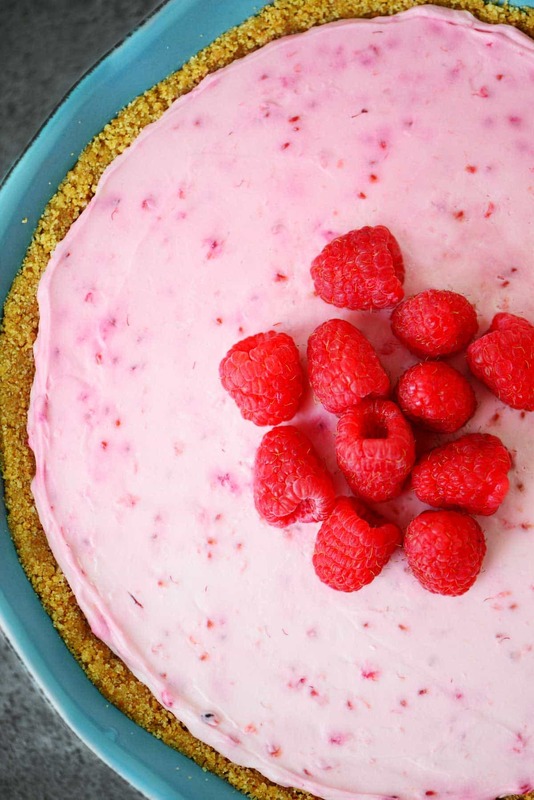 This No Bake Raspberry Cheesecake recipe comes together quickly and can be made ahead of time. The combination of berries and cream is a delicious treat. When the middle of winter arrives, I start craving fresh fruit and I must not be the only one. We had some family over on Sunday and I put out a snack that included fresh fruit and a fruit dip along with some desserts and a meat and cheese tray. There were about 15 kids at our house and guess what was the first thing to disappear? The fruit! 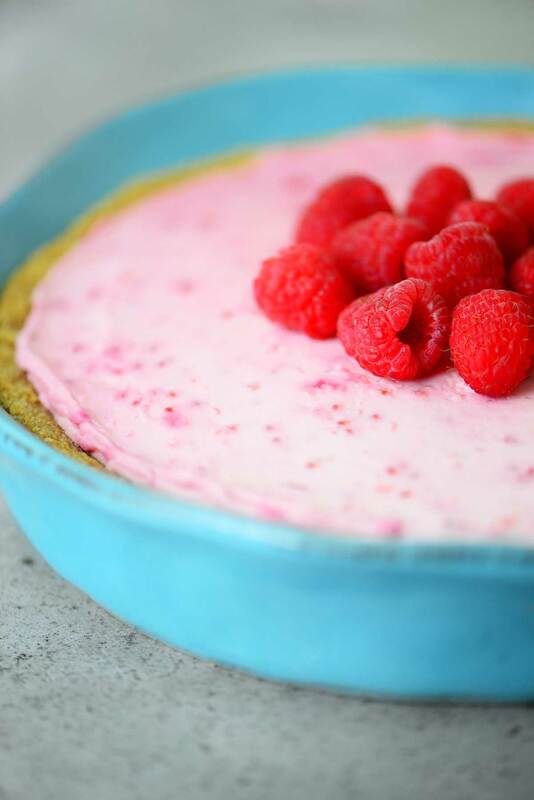 Today’s recipe for No Bake Raspberry Cheesecake includes a homemade raspberry sauce and is topped with fresh raspberries. It’s a little taste of summer. 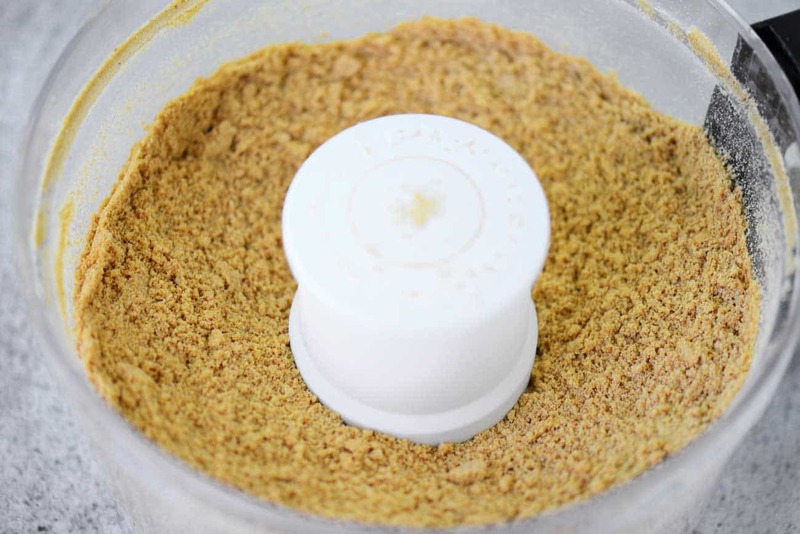 This recipe calls for 1 1/2 cups of graham cracker crumbs. 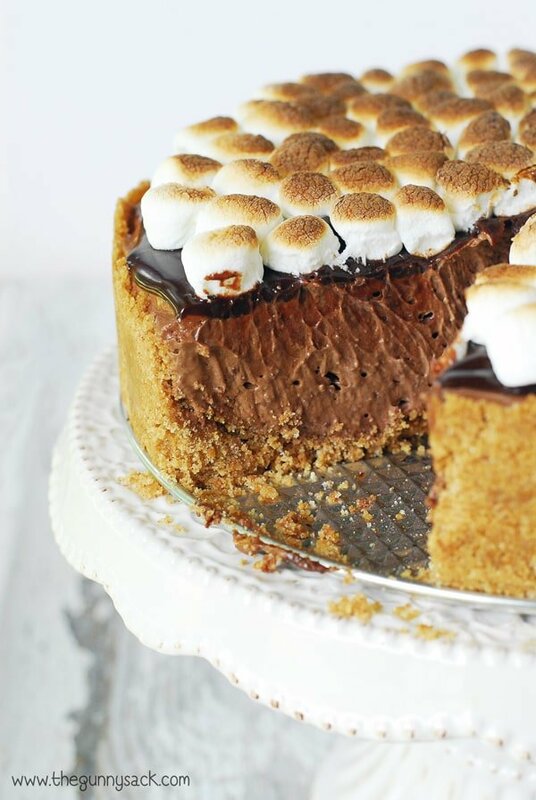 You can use the original graham crackers or substitute vanilla graham crackers or even the chocolate graham crackers. Or if you prefer, you can buy them already crushed. Crush the graham crackers using a food processor or place them in a gallon-sized zip-top bag and crush them with a rolling pin. Mix the graham crackers crumbs with melted butter and sugar. Press into a 9-inch round pan or round casserole dish like the one I used. Beat the softened cream cheese for two minutes. Add the powdered sugar, lemon juice, and vanilla. Mix until smooth. Fold in the whipped cream (or use Cool Whip). Gently stir in the raspberry sauce until just combined. 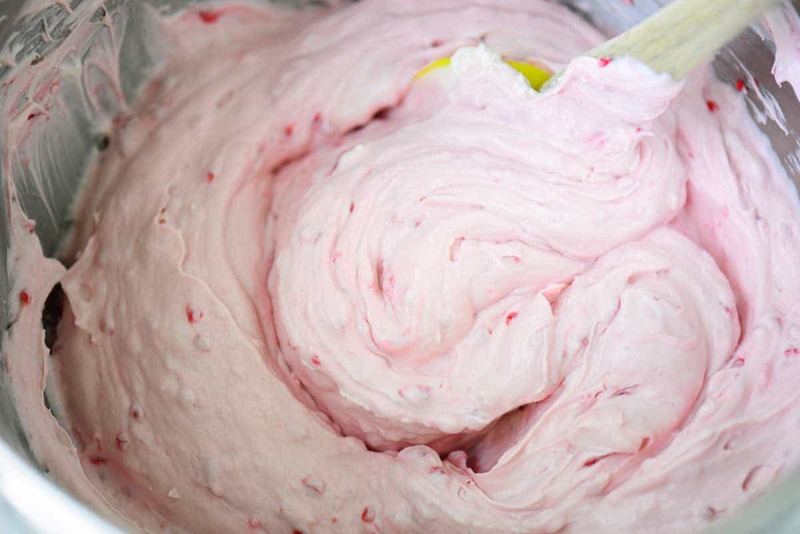 Spread the raspberry cheesecake mixture over the crust, cover and refrigerate for at least one hour, or overnight. Top with fresh raspberries before serving. 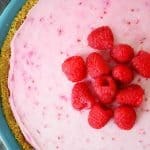 This No Bake Raspberry Cheesecake recipe comes together quickly and can be prepared ahead of time. The smooth creamy combination of berries and cream is a wonderful treat. Crush the graham crackers using a food processor or place them in a gallon-sized zip-top bag and crush them with a rolling pin. Mix the graham crackers crumbs with melted butter and sugar. Press into the bottom and up the sides of a 9-inch round pan. Beat the softened cream cheese for two minutes. Add the powdered sugar, lemon juice, and vanilla. Mix until smooth. Fold in the whipped cream. Gently stir in the raspberry sauce until just combined. 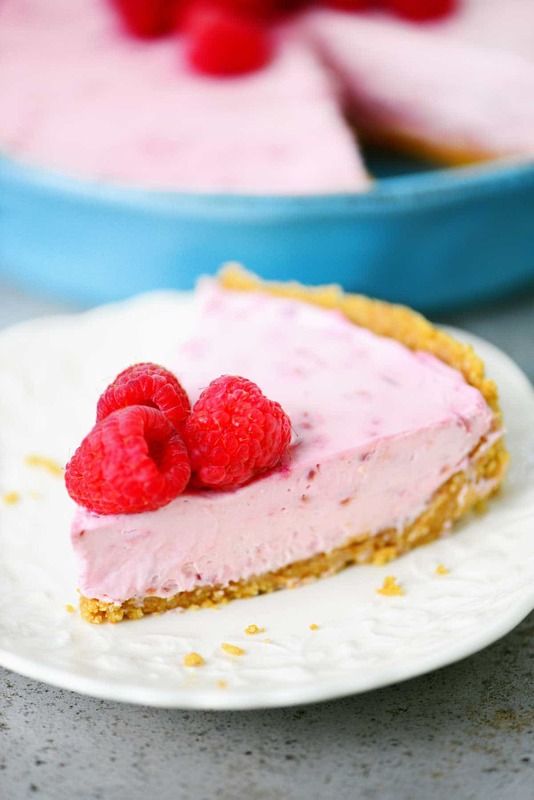 Spread the raspberry cheesecake mixture over the crust, cover and refrigerate for at least one hour, or overnight. I made this raspberry cheesecake for my family the other day and they absolutely loved it. Instead of mixing in the raspberry sauce I pour it over top of the cheesecake and it was delicious. I used this recipe for my daughter’s birthday and it was simply perfect. Thank you! Could you use store bought raspberry sauce as well? 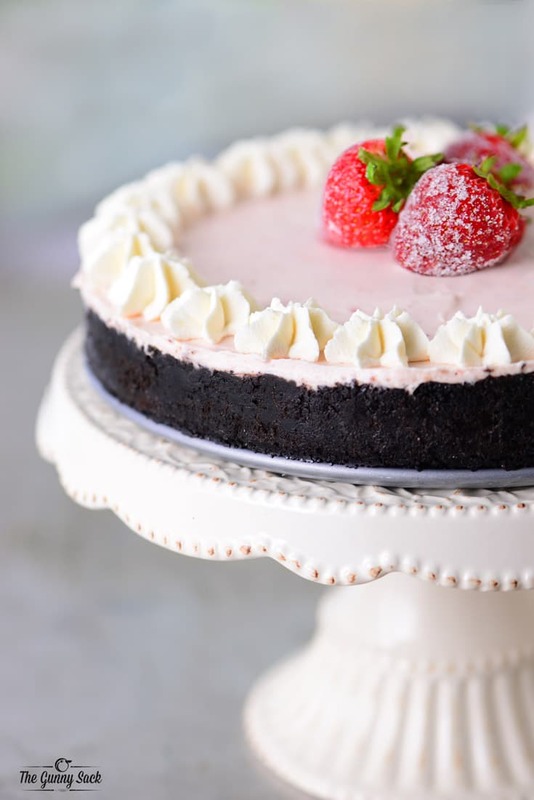 This raspberry cheesecake looks so delicious! 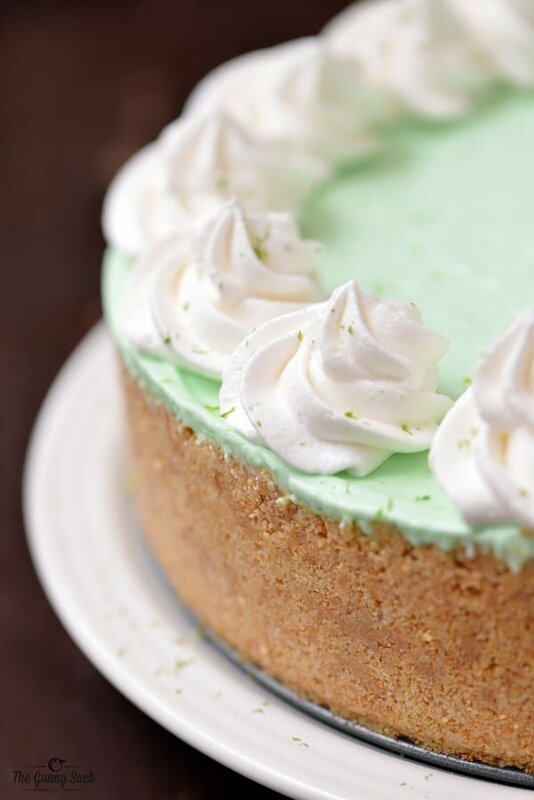 My mother used to make a similar no bake cheesecake for my dad’s birthday; your photos bring back so many good memories! Thanks for providing the recipe. I think I’ll try it for our next family get together!